Garmin DriveSmart 50LMT-D is an advanced sat nav with a 5-inch pinch to-zoom display that combines driver alerts for upcoming sharp curves, fatigue warnings, speed cameras and railroad crossings, with Bluetooth hands-free calling and onscreen smart notifications to encourage safer driving. It comes with FREE lifetime map updates for Western Europe. Receive call, text and social alerts straight onto on your sat nav screen. For traffic information, download the free smartphone link app and pair DriveSmart with your smartphone. Bluetooth also gives you hands-free calling. 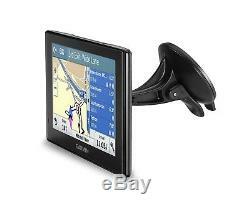 Lane assist, junction view and Garmin real directions provides detailed guidance. 5 inch TFT LCD touchscreen. Pre-loaded maps for UK, Republic of Ireland, western Europe. Covers 24 European countries in total. Speed camera alerts no subscription required. Free updates - free lifetime map updates for UK, Ireland and Western Europe can be downloaded from Garmin Express. For updates, a subscription is required. Saves past routes based on previous journeys. Points of interest - displays locations such as petrol stations and restaurants. Bluetooth for hands free calling. Eco route for fuel efficient navigation. 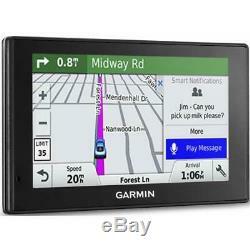 Garmin DriveSmart 50LMT-D - UK and Europe Maps. 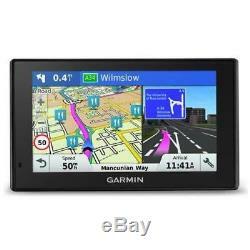 The item "Garmin DriveSmart 50LMT-D Sat Nav UK and Europe Lifetime Map Updates" is in sale since Tuesday, October 2, 2018. This item is in the category "Vehicle Parts & Accessories\Motorcycle Accessories\Electronics & Navigation\GPS/Navigation". The seller is "the_best_brands" and is located in Bath. This item can be shipped worldwide.